Zoolz For Business Is my first choice and it’s our best business cloud backup and storage service in the market, Zoolz offer hybrid cloud backup with full range of features, include automatic backup, Efficient Versioning, Encryption, Duplication, Cold Storage, collaboration, and cost effective, with one click installs, support for a very wide variety of operating systems, clean interface, and most important ‘zero-knowledge’ privacy environment. 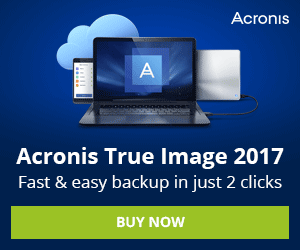 Zoolz is the most powerful service we have tested , A complete Business cloud backup solution, With easy to use and full features set, affordable price , We found Zoolz is the best cloud backup for business in 2015 that should be of great to use. Founded in 2001, Zoolz from Genie9, Offers nearly all the cloud backup features you will look for to protect your business and data from any loose. 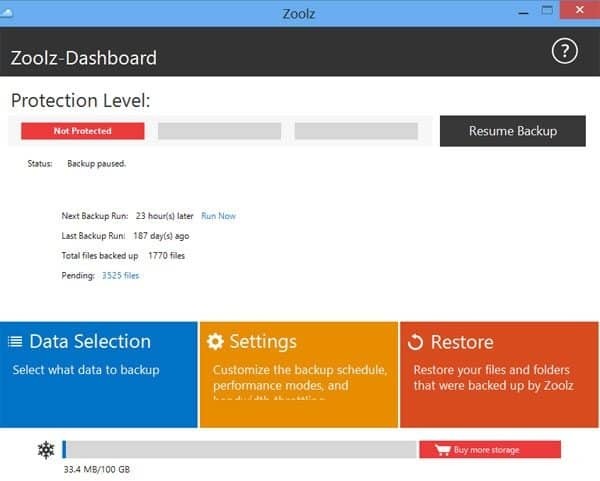 Zoolz is a great choice for those who are looking for Cloud backup and the redundancy and protection of off-site backup with very affordable price. Getting started with Zoolz is simple and easy, Once you’ve created your account (No Credit Card required for trial version), you will have access to the dashboard to download the product, Unlike other business cloud backup solutions we have tested, which require separate products to manage client and server backup, Zoolz offers this capability through a single engine. And for easy management of both servers and clients through one user interface. 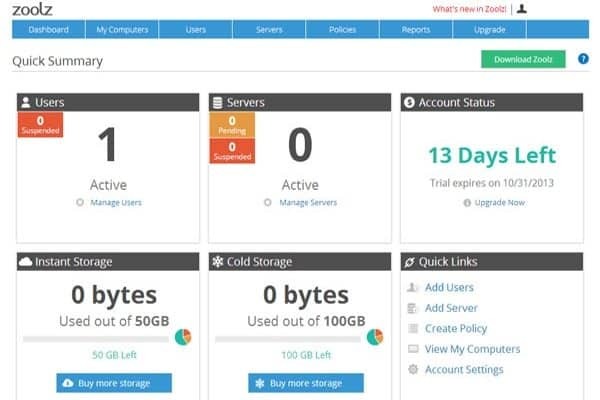 With Zoolz dashboard you can add users (by email), add a server, quick summary, for used storage for both Instant backup and cold storage, setting group policies & permissions, The dashboard offers as much flexibility and control as you might want. Zoolz provides a wide range of features that make cloud backup easy and effective, include automatic backup or scheduled backups, file versioning, upload any files of any size, file sharing and centralized management that allow you to add/suspend users, set file retention, select what to backup, set user privileges, schedule backup, bandwidth throttling and much more. 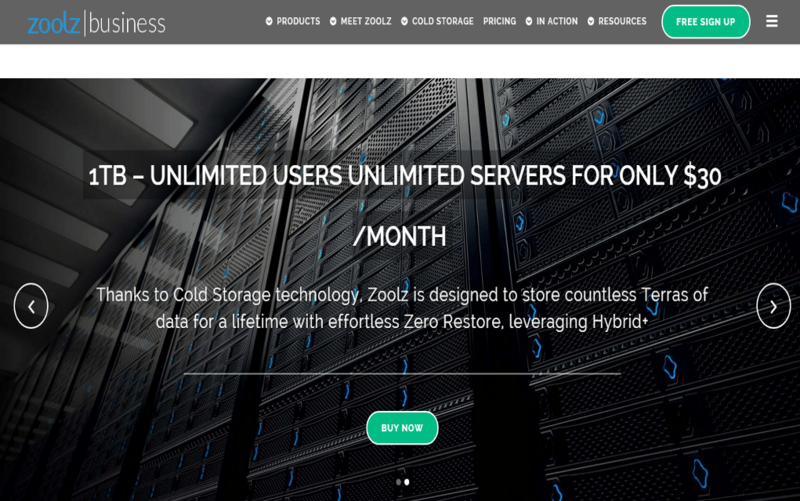 Zoolz additional benefits outweigh almost every other company on the cloud backup storage market Today, Zoolz use Amazon Glacier storage for the cold storage feature which is an extremely low-cost storage service for rarely accessed data or data archiving. In order to keep low cost, ( $3/Mo for 100GB) , Restoring cold storage files are delayed for 3-5 hours and you will receive an email with a secure link to download these files or folders. Other important features in Zoolz are data Deduplication which specializes in data compression technique for eliminating duplicate copies of repeating data, this is a great way to improve storage utilization and reduce the number of bytes that must be sent, Zoolz will analysis and compared every chunk of data that will be uploaded, in-addition Zoolz supports block level backup, Which allows you to backup only modified parts of the files instead of running a full backup every time the file is changed. 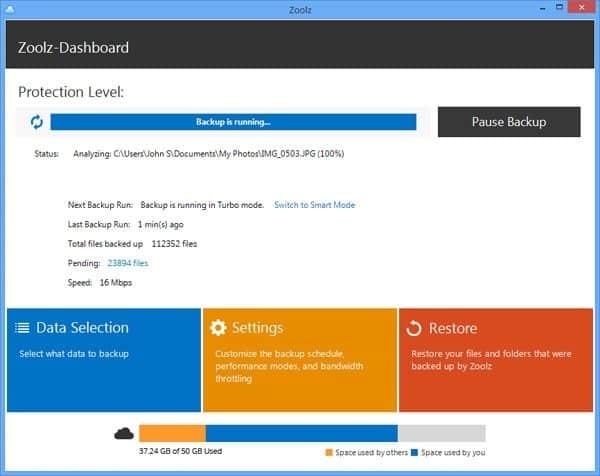 Block-level backup takes less bandwidth for regular backups and reduces the backup time. A significant extra feature with Zoolz Cloud Backup services called Copy, Encrypt & Ship, which is backing up and encrypting all your data to an external drive, and once completed, you will ship it directly to secure Zoolz data centers with “Zero Knowledge” this mean that Zoolz staff cannot know even the names of your files and folders. With Copy, Encrypt & Ship you will Save your time and internet bandwidth. With Zoolz your data is always accessible through a web browser on any device, and with the free Mozy Mobile app, files are also available to download or share from iPhones and iPads. Zoolz makes your file security a priority.with fully comply with PCI-DSS and HIPPA regulations for safely processing, Zoolz offer three levels of AES encryption, 256-AES encryption for files before leaving the computer, transferred by 256-AES encryption to Cloud storage and Zoolz uses 256-AES encrypted Amazon S3 servers to store your files and data, Zoolz is the clear choice of data security . 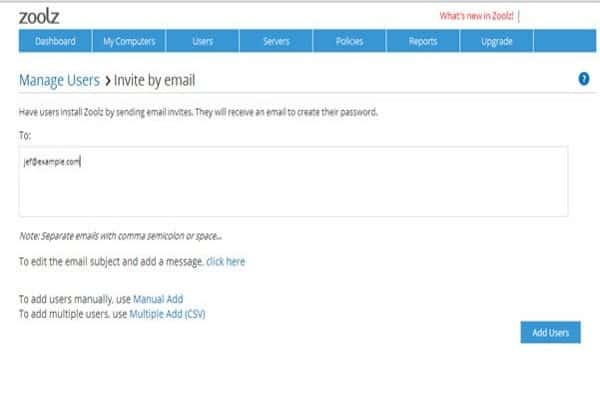 Even though all your data is stored encrypted, Zoolz allows you to decrypt of your files for editing or you can share files and folders with colleagues and clients by email invitation, to view or download your file, Zoolz will set up an expiration date for the download, and a delivery notification when accessed to ensure a safe delivery. 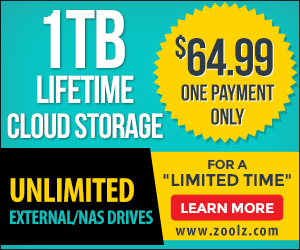 Zoolz offers variety type of packages and pricing plan, For expamle the Terabyte Cloud Storage levels provide different storage space, All levels with this package provide unlimited users and servers, With this package the 1TB Cost 25/Month the top level in this package cost 3000/Year for 10TB. 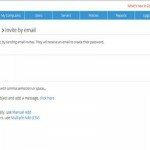 Zoolz offers email support and ticket system. In addition, you’ll find tutorials, a knowledge base, FAQs and more on the Zoolz site to help you out. If you want a full Cloud Backup for your business with high security that gives you peace in mind, then Zoolz is the best choice. We would like to see Zoolz offer file syncing feature, But Zoolz score highly on many features, easy-to-use and automatic, secure, file sharing and all what you will need to protect your data using Amazon S3 Server , with enterprise class cloud backup service, Zoolz is the best business cloud backup we have reviewed, And is our 2016 Best Cloud Backup for business.